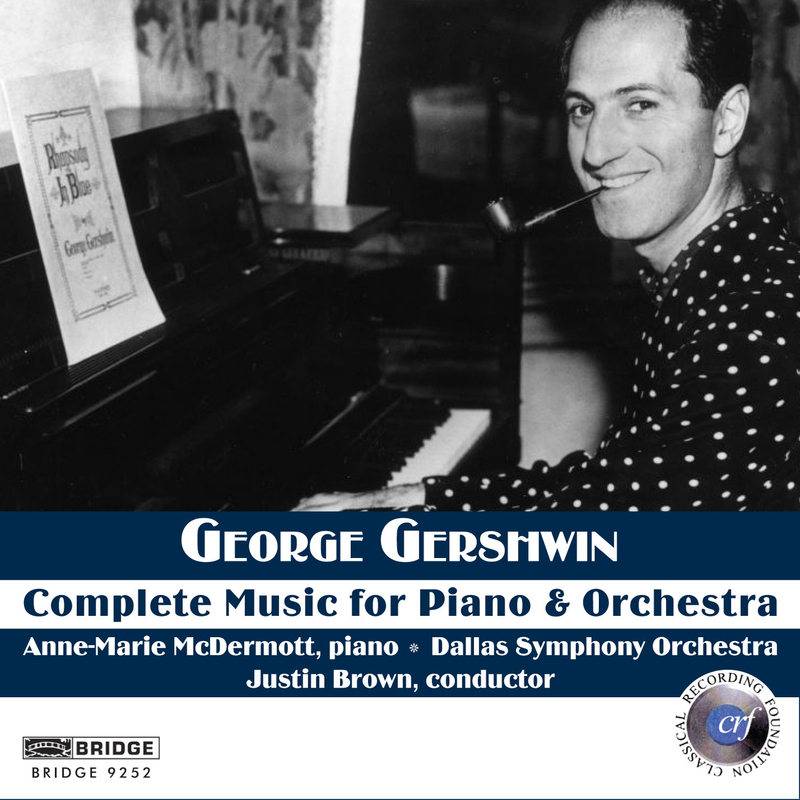 These symphonic reimaginings of Gershwin’s crossover compositions succeed in terms of performance as well as engineering: Anne-Marie McDermott superbly conveys the serious and playful side of the material; guest conductor Justin Brown moves the Dallas Symphony Orchestra along at just the right speed, balancing restraint with vigor; and the digital recording combines with the excellent Meyerson Symphony Center acoustics to provide optimal audio. The composer wrote “Rhapsody in Blue” for solo piano and jazz band, performing it at its 1924 debut with Paul Whiteman and His Palais Royal Orchestra as orchestrated by Whiteman’s pianist, Ferde Grofé (“Grand Canyon Suite”). Here it is performed with a substantially larger ensemble, yet retains the original’s verve and avoids the bombast of later orchestrations. “Second Rhapsody” is not a sequel to “Blue,” but an expansion of a six-minute sequence written for the 1931 Hollywood musical “Delicious,” to accompany a scene in which the heroine runs lost and frightened on the streets of New York. Not so well-received, Gershwin considered it among his best work. The variations on “I Got Rhythm” are wildly varied: Among other techniques, the 1934 set emulated the sound of Chinese flutes, employed waltz time and paired the pianist’s right hand playing the melody normally with the left hand playing it upside down. The version here is the 1953 reworking for large orchestra by William Schoenfeld, which uses clarinets as well as saxophones and increases the other woodwinds. The disc concludes with 1924’s “Piano Concerto in F,” whose three movements follow the traditional structure of fast, slow, fast, except that it’s also rhythm, blues, rhythm. Of course, the rhythm in those times was the Charleston.